No. I haven't misspelt the cult movie. 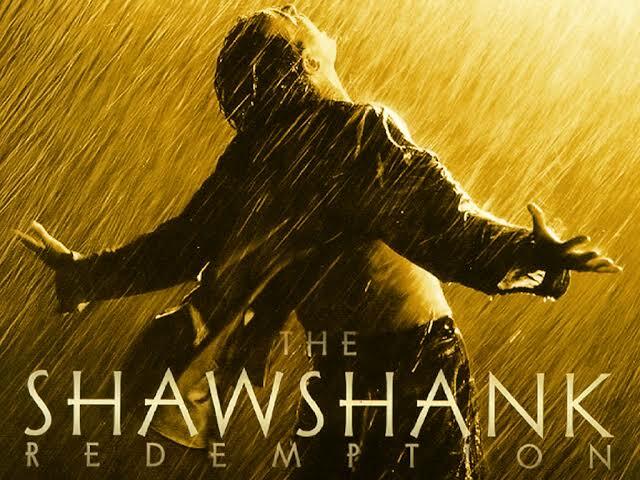 My name is indeed Shashank and thus the name! I am a law student with interests in literature, history, mythology, philosophy, politics, movies and music. I also love to act. My writings would cover the above subjects. Gather all the books, separate the academic ones from the others, make a list and put them all in a box. Take the clothes now, segregate the dirty laundry, box them up. Pack up the shoes, throw away the pair of those broken sandals, leave behind the newspapers and other papers to dance to the tunes of the wind in the empty room. 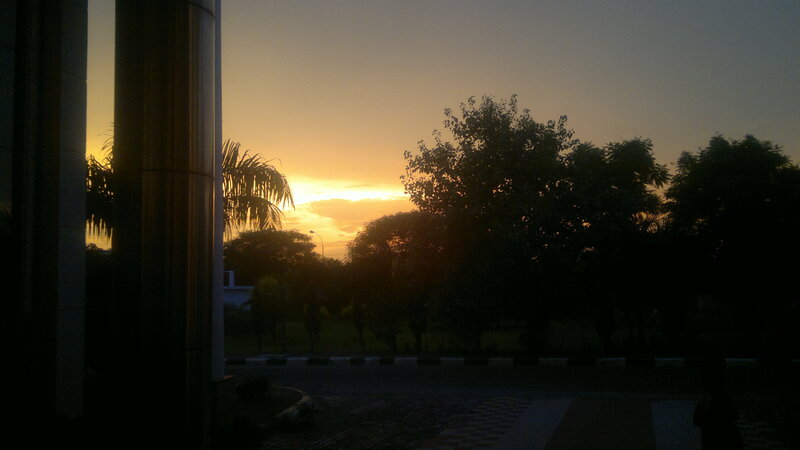 Pull down the curtains on your hostel life. Those curtains are heavier now. Filled up with some dust but mostly memories. There! look at the mattress devoid of the bed sheet, see the table deprieved of the books and stationery, look at those bare walls after you’ve brought down those posters and photographs. The scheme is easy, work in a mechanical fashion. Do not be sentimental, do not stare at the things while you pack. Try not to think of all the episodes associated with all those items. Do not think of your friends and associates. Most importantly, try not to cry. You may experience a lump in your throat-ignore it- you may feel your eyes get welled up- subdue the feeling- big drops of water may trickle down your cheeks-wipe them- but just don’t cry! Stay Strong. And then, everything is packed up. Everything is boxed up. All five years. One long journey, few small boxes. After all, its all dust. Its just bricks and concrete. But stay there for sometime, fill it up with people, with friendly conversations, with personal items and voila! you have a home. Pack up one chapter of life and unpack another. That is how it always works. As an infant, I had long hair and wore earrings. I was often mistaken for a girl. And I despised it. 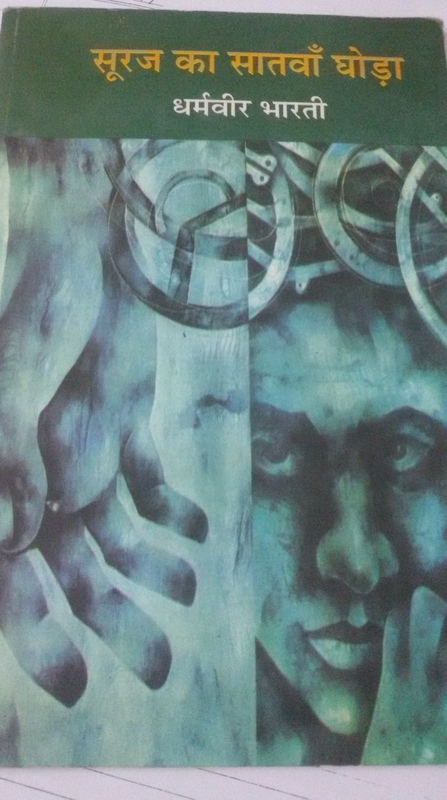 I despised my feminine voice and longed to possess a heavier tone. I always wanted to be an adult when I was a kid. But I was small and thought it would take forever for me to achieve puberty. But that day did indeed come. Testosterone spiked.My voice cracked. Hair sprouted on my hitherto tender cheeks and voila! In 2012, I joined the law school. I was due to graduate in 2017. When I joined the Law School, there was a President who had just occupied the Rashtrapati Bhavan and Uttar Pradesh had chosen its youngest Chief Minister. It would take a long long time before 2017 shall arrive-I told myself- 9 semesters later, 2017 stares me right in the face. All the things that we love, we do not love them enough till we either lose them or are on the verge of it. The fear of loss increases our love for something manifold. So I missed my childhood only after I became an adolescent. I am in my final year at the law school. With just one semester to go, my sense of attachment with my alma mater is strengthened with each passing hour. But one semester is all I can hold on to it. I spent the first year cribbing over the fact that despite my good rank in CLAT I failed to secure the law school I aimed for. But later the feeling faded away and all I felt for my college was affection. When my ninth semester was over and I packed my bags for vacations, I realised how much this departure pained me. Life is full of changes- both desirable and undesirable. We all know that there are many things which we wish to keep tucked away in the back of our minds and focus on the present. 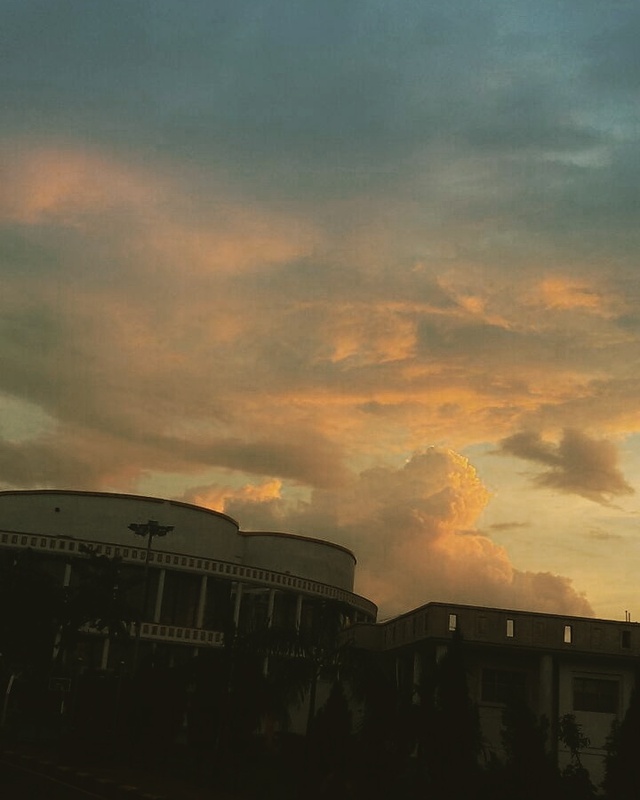 Leaving the college is one such thing. But no matter where we may try to bury those things, what is meant to arrive at the right time, will indeed arrive, things destined to occur shall inevitably come to pass. There is no remedy for it. Time has let me down. I am deeply disappointed in it. Why does it have to travel faster in moments of emotional upheavel? 2016 shouldn’t have ended this fast. I hadnt hoped 5 years, five long years would fleet in such haste. I hadn’t hoped departure shall come so, so soon. My Bond with Doon and Mussorie or How I met Ruskin Bond. 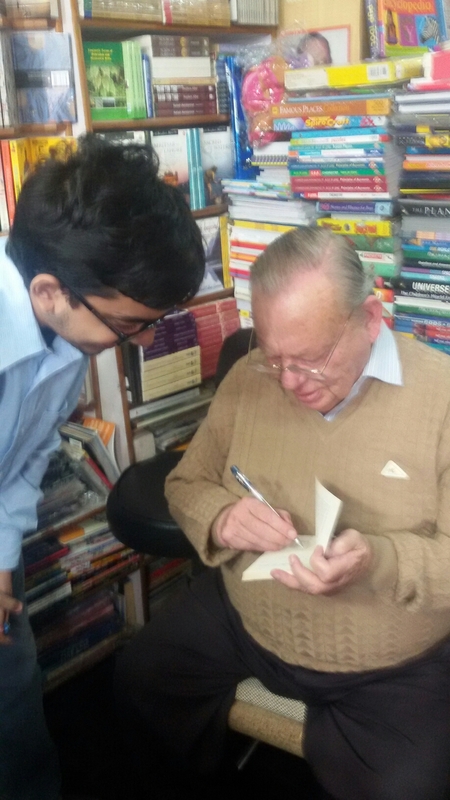 I met the legendary author Ruskin Bond on a cool Saturday evening, the 27th of June 2015 at the Cambridge Book Store, Mall Road, Mussorie. There couldnt have been a better setting to meet the writer. The hills, the cool mist and the dense giant trees on the smooth mountain slopes around, everything made one feel like a character of a story written by Mr. Bond himself. He sat there, in the book store, like a gentle giant surrounded by books and book lovers. In the summers of 2015, I got a text from a friend of mine who told me that my internship application at ONGC (Oil and Natural Gas Corporation) had been aaccepted. A little more follow up and there it was. A four week internship at ONGC Dehradun, confirmed. So it was a summer internship at ONGC that beckoned me to Dehradun. My batch mate, Harsh Pathak and I, both rented a room together and pursued our internship. The office of ONGC was indeed a beautiful one situated on a smooth hillock, just adjacent to the coveted Doon School. 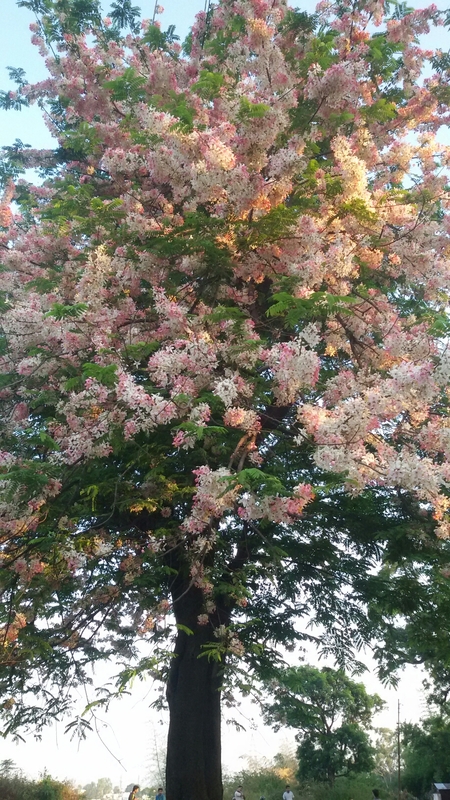 I am no botanist but there is certainly something about the trees that grow in the Doon valley, they look so much prettier and so full of virility when compared with the trees that grow down in the plains of North India. YES. 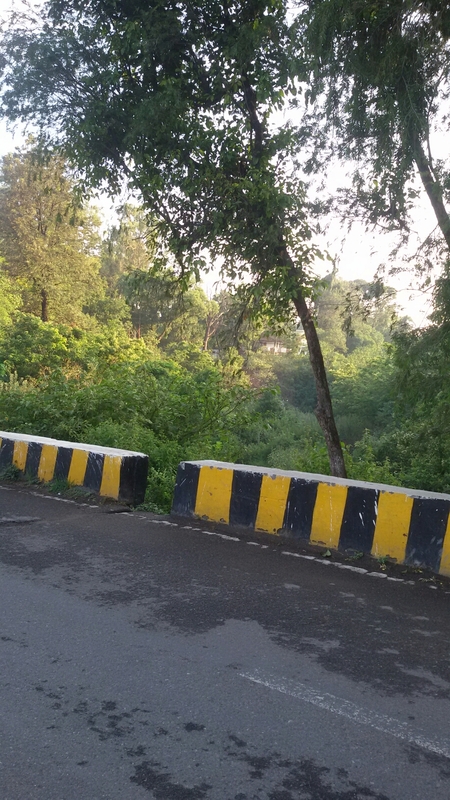 This is the road that led to the office of ONGC. The walk was like the one could only read about in novels and feel but never describe. It was basically like literature. Too beautiful to be real. 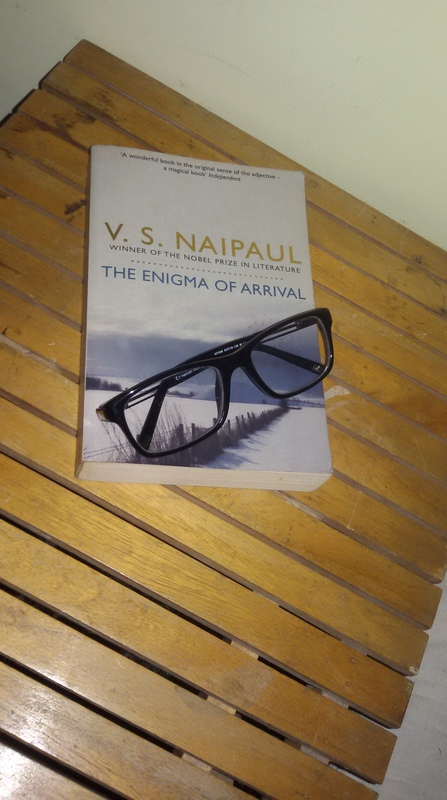 Whenever I walked on that path I felt like sitting under a tree write some poetry or maybe read the Enigma of Arrival by VS Naipaul. This pretty lady also stood on the way. Everytime I looked at this tree, it aroused within me the greatest feelings of love, poetry and melancholy. I always wanted to sit around this tree and maybe, maybe just talk to her about how I wanted my life to be and how it turned out eventually. Offcourse I digress. So on that Saturday morning, we made a decision out of the blue- We shall go to Mussorie right away. Let me not lie. I had some idea in my mind that Mr. Bond often met his fans on weekends . I despised standing on the bus stand at Mussorie. We were told that the next bus for Mussorie would only arrive an hour later. This was disappointing. Also, the size of the buses that went uphill was quite small and the number of passengers who were waiting for the bus too high. Nevertheless, we managed to get a seat. Harsh sat by the window and I by the aisle. 30 mins later I patted on Harsh’s shoulder. Thanks to the hilly roads and those sharp turns, I puked my guts out. I leaned by the window all exhausted. Ten minutes later, Harsh looked at me, we exchanged places. This time, he puked. 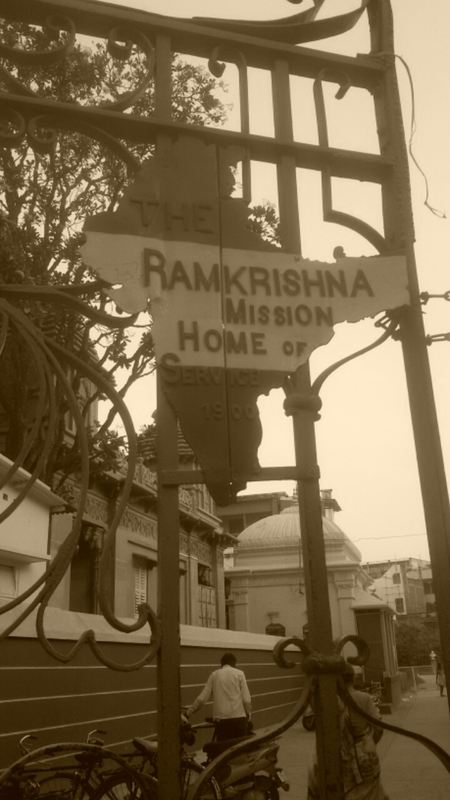 So by the time we reached Mussorie, we had been thoroughly fatigued and tired. We immediately went to a chemist, bought some medicines that curb the nausea, ate and then ambled towards the Mall Road. At the Cambridge Book Store, I saw plenty of posters of Ruskin Bond. I was tempted and I asked the proprietor. “Come at 5 in the evening. You’ll find him here. This is where he spends his weekends.” I was delighted. I had never ever thought of meeting Mr. Bond. My watch told me that there was still a few hours to five. So a walk around Mussorie was what we decided to do. Mussorie is a mixed bag. Parts of it are still undisturbed since the British departed. You see the mansions, few occupied, most converted into Hotels and Lodges while a couple abandoned. Without going into the merits of the Raj, I think we Indians should thank the British for one thing atleast- establishing such pretty hill stations. Be it Mussorie, Simla, Dalhousie, Wellington, etc. all of these hill stations were founded by the British to escape the heat of the plains. This is where you shall see the last vestiges of the Raj. This is what comes closest to the picturesque Downs of Salisbury. On our walk we came across an antique shop which looked promising. 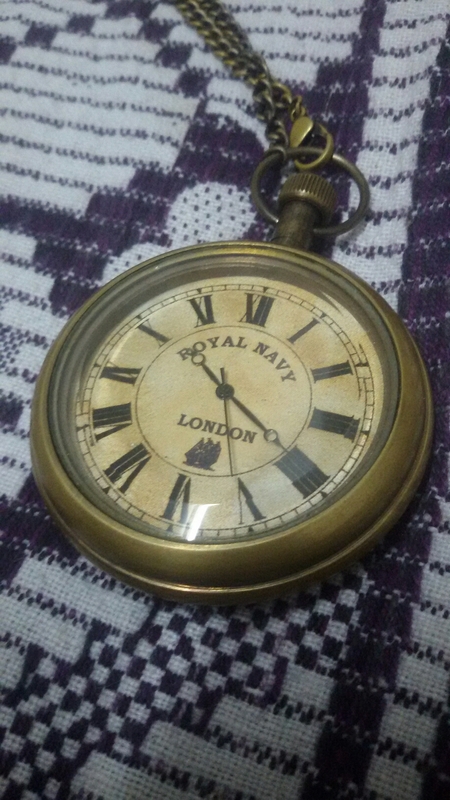 Upon examining a dozen items, I ended buying myself a pocket watch. Now then, isn’t she marvellous? I bought this one for $11.5. When finally it was 5, we made our way towards the Mall Road. Outside the Cambridge Book Store, there was commotion. Poor Mr. Bond was huddled with fans. It was at this moment that the shopkeeper intervened and asked people to be patient and meet Mr. Bond one by one. “Mr. Bond isn’t going anywhere” he thundered. After some waiting, when I finally reached before him I was numb. What I felt cannot be put into words. He was smiling. I was fidgeting. I was shaking. Everything was beyond belief. I often see dreams wherein I meet the people I so dearly admire. But this was real. This was when I extended a book (A handful of Nuts) authored by Mr. Bond I had carried from home for an autograph. And what he wrote on the book made my day. Made my life indeed. “GOOD LUCK WITH YOUR WRITING, SHASHANK” Thats what Rusty wrote on that book. And signed. That’s when we bowed and made our way out. So for the past fifty years. 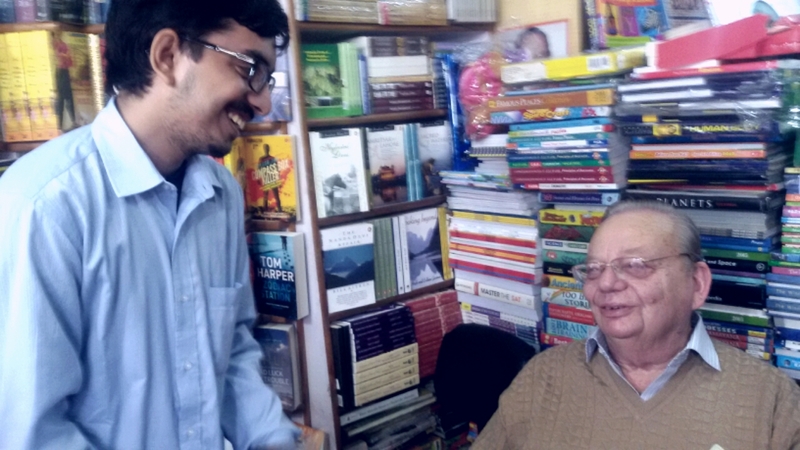 Fifty years Ruskin Bond had been residing here in the hills of Mussorie and writing… writing and writing more. That’s some life to lead. Only the blessed few get such a life. All the waiting, all the nausea and all the pain was worth it. I had met the man who had made my boyhood fuller and happier. My only regret is that I forgot to ask him about “The Night Train at Deoli”. I was curious to know whether it was actually autobiographical or not. How would you feel to meet your childhood hero? One who through his writings talked to you more than any other friend. I started reading Bond while on the cusp of achieving puberty. Who instilled the ideas of love, infatuation, romance and loss in my young, innocent mind? Who ruined and corrupted me? But then, I wanted to get ruined and corrupted. Posted in LostTagged Dehradun, Mussorie, Ruskin Bond, Uttarakhand. Let me declare this from the rooftops- of the very few talents that nature has bestowed upon me, acting is one. I have always, always loved to act. The idea of theatre, the idea of living a different life altogether, the sheer joy of being someone other than yourself is inexplicable. Ever since a child, I used to spend my time imitating relatives, teachers and my friends. Unfortunately and Fortunately, since I spent the major part of my school life changing schools, I was never a really successful actor in school. By the time I was settled in one place, it was time to shift. The other major problem which I perceived to heavily exist in schools was favouritism. I was never any teacher’s favorite so no good roles for me! Probably because I talked too much! 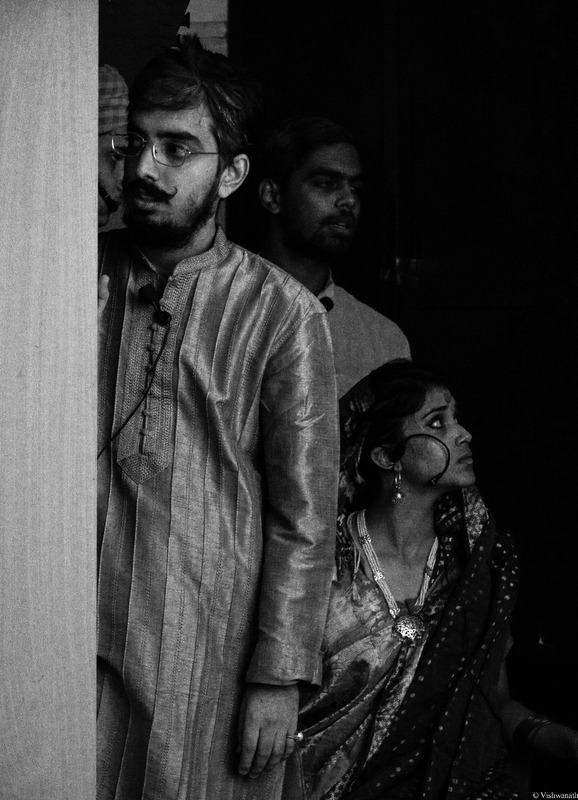 It has only been here in college that I have been able to fully express my theatrical talents all thanks to the amateur theatre society of my college-Naqaab (which loosely translates as the The Masque) Since its inception in 2013, our theatre group has staged atleast 6 times. And everytime it has been a more enriching experience for me. So the story went like this- A progressive zamindar in 1951 tells his daughter an old anecdote of an elderly zamindar whose who did not have a grandson and remained worried about the fate of his zamindari.Despite having married thrice, his son had failed to deliver a progeny. 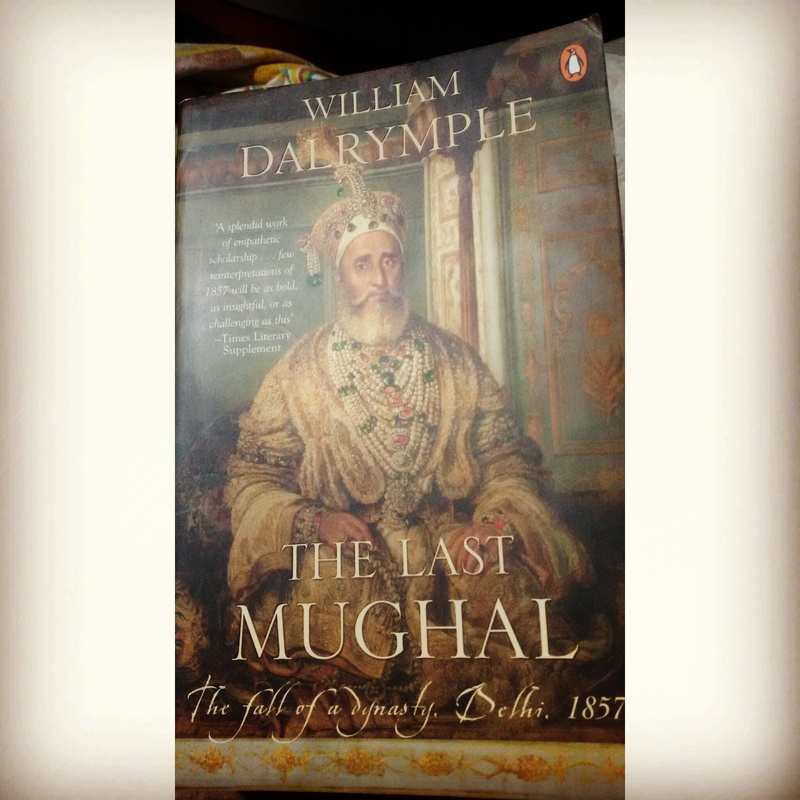 Slowly and slowly the zamindar becomes convinced that his son is impotent and that he must get his daughter in law impregnated through other means. My close friend Utkarsh Singh played the progressive zamindar with Chandni Singh as his curious daughter. While I played the elderly zamindar, my good friend Soumya Tiwari played my mother. Anushree Moitra played my wife and the very talented Sonakshi Banerjee portryed the role of my daughter in law. Chandan Maheshwari played my son. There were three servants in the play and all had crucial roles. Aman Shukla, Vinay Sheel and Sheetal Singh Tomar carried out their roles with great finesse. All in all, it was a multiple starrer play and all thanks to the amazing Director, Harsh Pathak assisted by Abhilasha Singh and Anshita Mani the play was a success. My friend Bhavesh Yadav compiled great music for the play and Akanksha gave us the look that we needed to carry throughout. The brilliant cast of the play. 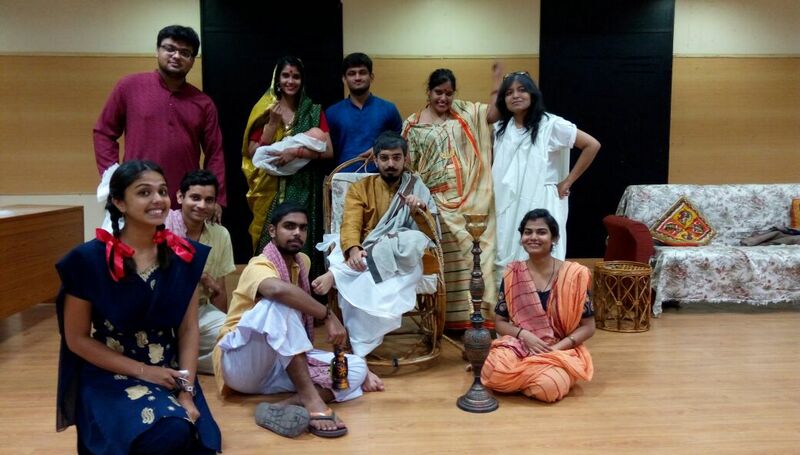 I am in the centre on a rocking chair.The person in blue, right behind me is Chandan Maheshwari, the woman on his right with the baby is Sonakshi Banerjee and on her right is Utkarsh Singh. The actor in white on extreme right is Soumya Tiwari and on her right is Anushree Moitra. The two men sitting at my feet are Vinay Sheel and Aman Shukla. 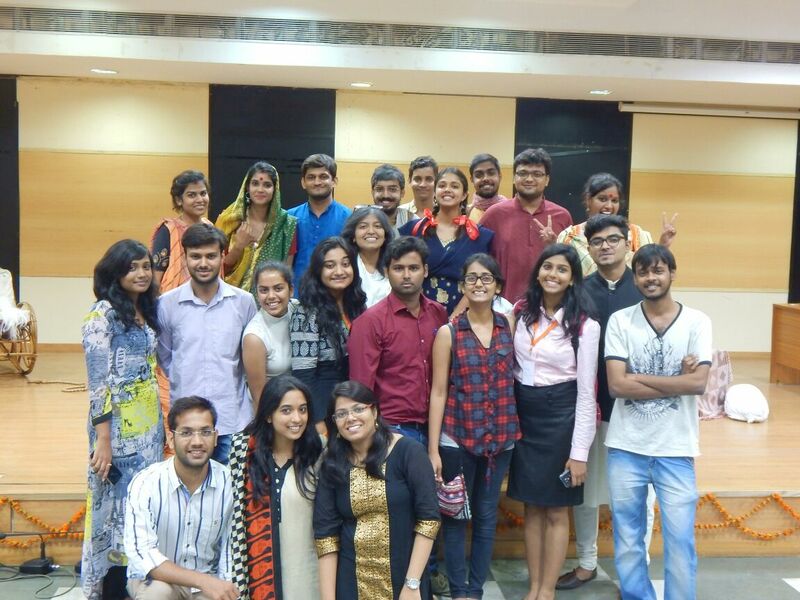 The girl in orange is Sheetal Singh Tomar and the one with a huge smile and blue dress is Chandni. Perhaps the best part of a performance is always the preparation. I loved the entire journey of this play with the most talented team. We joked, laughed and chatted away most of the time but never allowed the level of our performance to go down. We were backed by the most hardworking back stage crew led by Himanshu Chaudhary and Vishal Sharma. This is the entite team which was the driving force behind the performance. I am in my final year now. I do not know if I shall ever get a chance to act again in life or not. Here in India, amateur theatre outside academic institutions is almost nil and especially when it comes to theatre which caters to the needs of the working, well. That’s non existent. I had once read somewhere that no matter how talented you may be, your talent is futile unless the society you are born into is ready to accept and hone your skills. Here I am in India, born with the talent of acting. The chances of me being able to turn amateur acting into professional one is virtually impossible because theatre as a profession in this country is locked from the inside, there is no entry unless you have resources. No wonder theatre in India is dying. Anyway. I should get back to my law books. Indian Summers are pathetic. Lets face it. They are torturous, painful and sweltering. From the foothills of North India to the coasts of the Malabar, The black tar roads radiate heat and the night is devoid of winds. For mercury, sky is the limit and for the masses, heat stroke, a perpetual and imminent threat. In conclusion, Mother Summer makes an entire nation prostrate before her cruel authority. What good could ever come out of such ruthless climate? But be not mistaken, becuase for millions in this country summers bring along the smells of memories and the spices of nostalgia. The greatest gift that Indian Summers have given us Indians (apart from the mango) are the vacations that we are forced to go on owing to the weather. I still remember the days of my infancy when the school would be shut down for the summers and I would be all around the place. To give you an idea of what being all around the place means let me tell you that atleast once in every week, I came home with a bruised elbow or knee, hitherto I have had a bleeding skull just thrice in my life- which is attributable to my vacations and so are the stitches I have on my face. It was always imperative to spend time at both maternal and paternal homes. The visit and stay was always characterised by great food, greater home made pickles and greatest grandpa stories. My grandparents lived in a different town while we travelled the country thanks to Dad’s job. So for many like me, vacations was the only time to bond with grandparents. Cousin Fights were serious stuff. It never never ended till either was down or till grandma lectured both. The arguments between us cousins did get heated and Toy Sharing Treaties were entered into but there was nothing that the roadside cheap orange ice stick couldn’t fix. (I cant eat that thing now. Its way too unhygienic. Or maybe because it stirs up too many memories.) For the lack of electricity in Uttar Pradesh those days, boardgames were the only way to kill time. Whether it be snakes & ladders (सांप सीढ़ी), Picnic or the evergreen Ludo. To this day I am of the opinion that my first cousin knew a secret trick to roll the dice and the get magic number so often. Now, none of my cousins come down in the vacations they used to back then. Some have started their own families and the others are on the verge of doing so. Some are abroad while others toiling on their jobs. No one has the time to come down and chat over a game of Ludo. With every passing year, summer vacations began to acquire to completely different meaning for me. As an Kid, summer vacations meant fun and frolic, as a Teen, it was the time to explore and understand body and self, As an adolescent, I spent most of my vacations in coaching classes and as a Law Student, my vacations were spent interning and worrying about the future. As I write this piece, enjoying my last summer vacations, sitting in my long departed granddaddy’s room, I cannot thank the summers enough for what she has given me- Memories, Memories and countless memories. P.S.- The title has been taken from a novel by Ruth Prawer Jhabvala. The excitement surrounding CLAT is so gripping; it is indeed an experience of a life time. And the various facets of it spread across that short period of our lives like colors splashed on a canvass which make those few months of our lives really worth the stress. It is those moments of success, failure, pain, joy and regret that create a great learning curve in our lives. The Preparation– When you attend demo classes at no less than 5 coaching classes, keep scanning through free websites, looking for GK capsules, Legal Aptitude questions and any form of model question papers that may help you in anyway, you subscribe to The Hindu merely because your GK teacher at your coaching asks you to do, most of your time is spent collecting resources rather than studying them. The Exam- 2 days before the exam the aspirant is numb. On the day of the exam when you reach your center the most abstract thoughts and ideas float your mind, seeing all kinds of people at the center is both hilarious and depressing. And along with the aspirants, one can also catch a glimpse of the parents. There are always some parents who are there only to remind their children that they must do better than Sharmaji’s! The Result- If there is any night worth remembering let it be the night before the results are announced. Sleep evades you, all night one only keeps turning. The next day too, no morsel of food enters ones mouth till the results are out. You only keep refreshing the CLAT website till the poor thing crashes only to be restored in some time. What Next- The results are just the beginning, for the ones who decide to answer the exam again the next year the cycle turns for them again, but for the others, the result opens up a whole new world , your preparations come to a close, thus something ends but something bigger and greater begins. 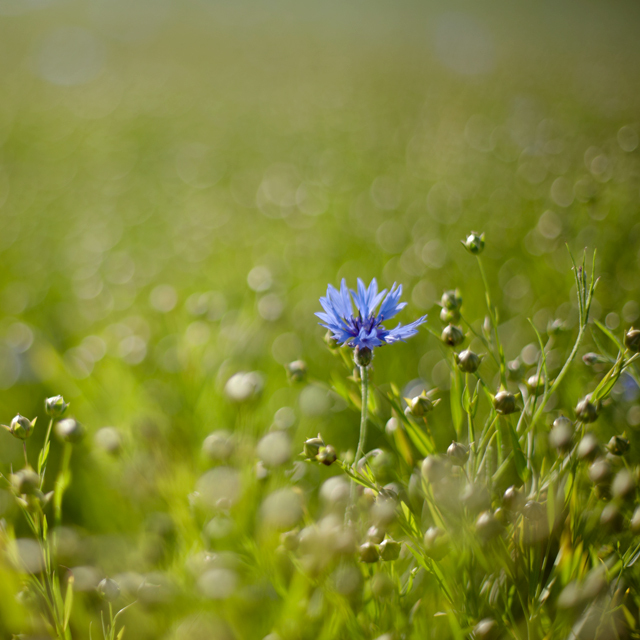 It is the beginning of something more beautiful, better and lovely. It’s called the law school. It’s the beginning of the love affair which cannot be described in words. The preparation for CLAT, making new friends at your coaching class, being separated upon getting different law schools, making false promises to stay in touch, packing your bags, listening to endless advice from parents, relatives and siblings and the list is endless, As I sit in an office cubicle interning, away from all the din, I only think that if the concept of rebirth is real, I would love to be born again and again as a (successful) CLAT aspirant and go through all the rigorous strain of preparation only to feel that exuberance, that Adrenalin rush and the uncertainty of life of what beholds next. Also I pray to get the same law school in every birth (RMLNLU), so that I may get endless opportunities to fall in love all over again. 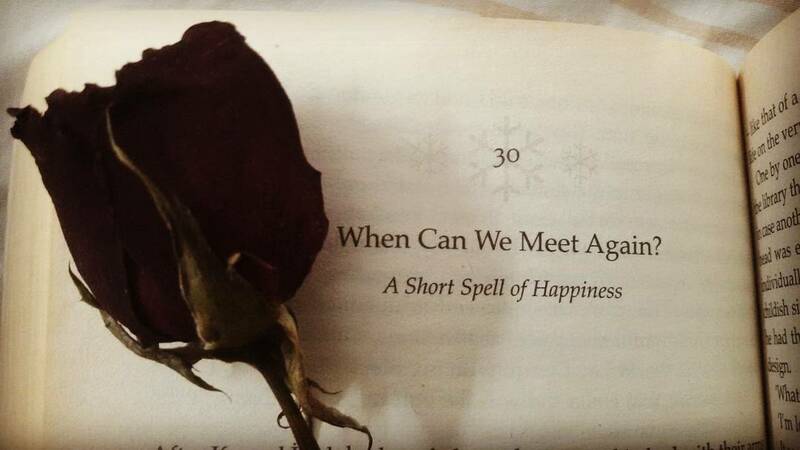 After all, love happens just once. Doesn’t it? PS- There are a number of studies conducted by fools who determine what college is good or bad. Take my word- No college is good or bad. If you are ready to work hard enough, sky’s the limit for you!